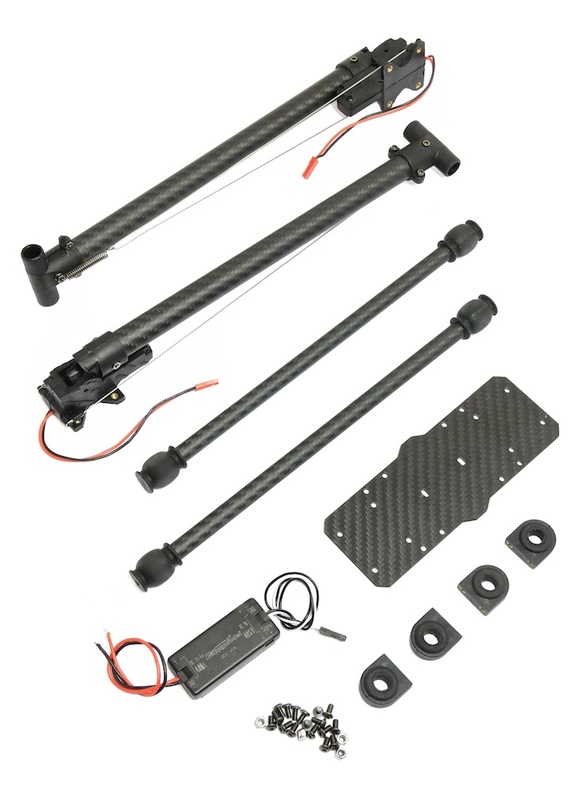 This is a carbon fibre universal retractable landing gear kit designed to fit 450~700 class multirotors. 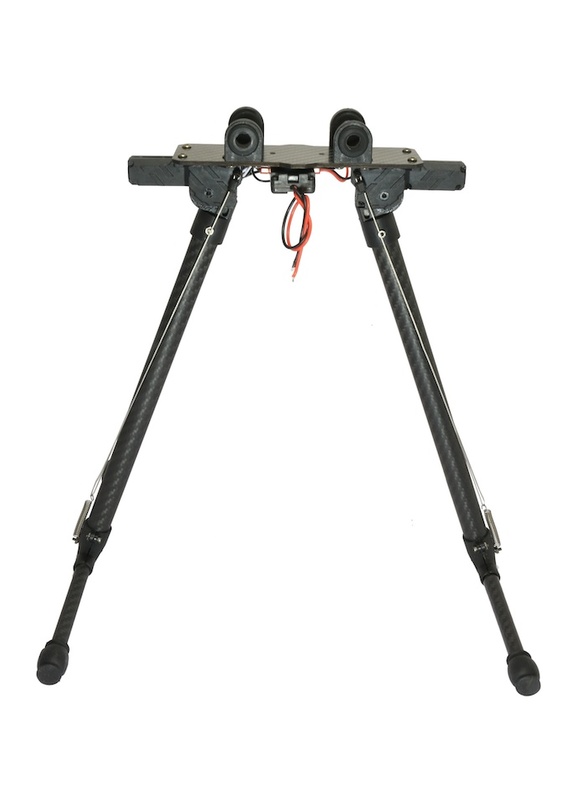 A retractable landing gear has the big advantage over a typical gear in that a retractable gear allows for an unobstructed view of the sky ahead in all directions, plus they look super cool too. So for aerial photographers and FPV flyers you'll no longer get your shot spoiled by the landing skids entering the frame. 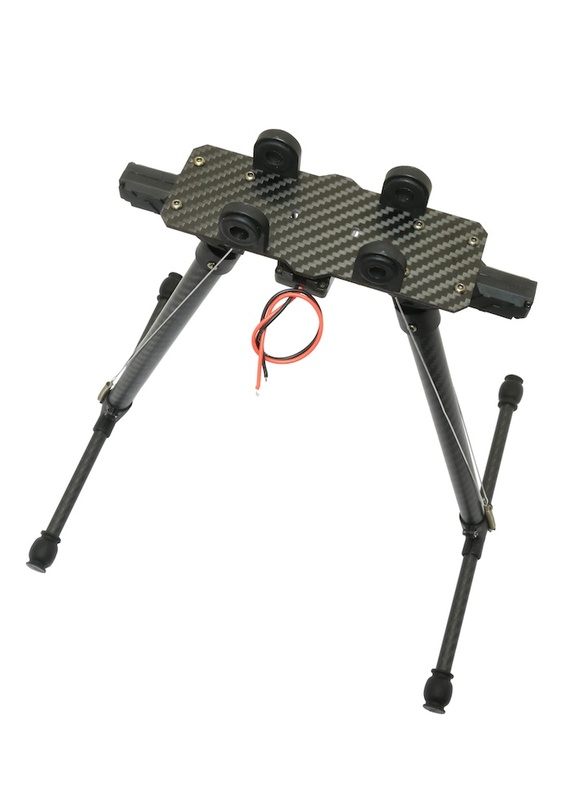 The kit comes with a carbon fibre mounting plate and 10mm tube clamps, making it directly compatible with any multirotor that utilises a 60mm rail mounting system - for example the Tarot 680 Pro and numerous others. If you require 12mm tube clamps we sell them separately, please see 'Related Products' below. The wiring is very straightforward; simply provide 12-22V (3S-6S), connect the servo plug to a spare RX channel and assign a 2-position switch on your RC transmitter. 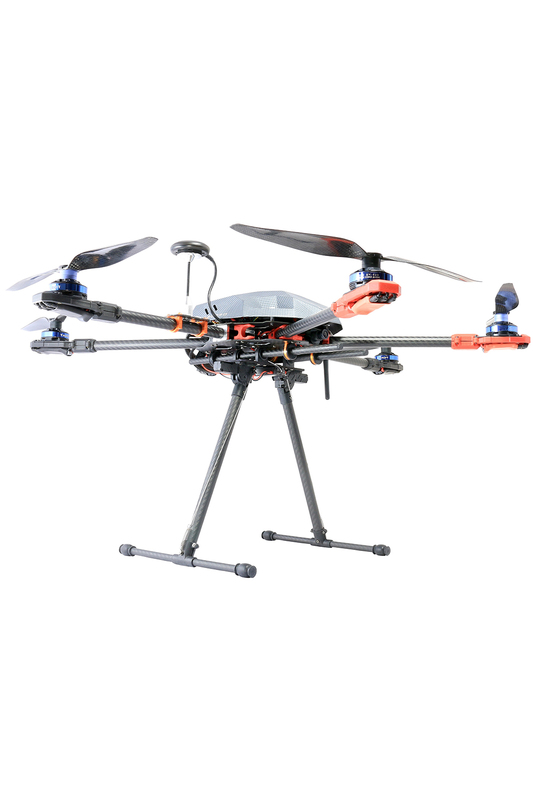 Tip: If the switch channel on the TX has fail-safe function, set the fail-safe value so that the landing gear will be in deployed when the receiver enters fail-safe.